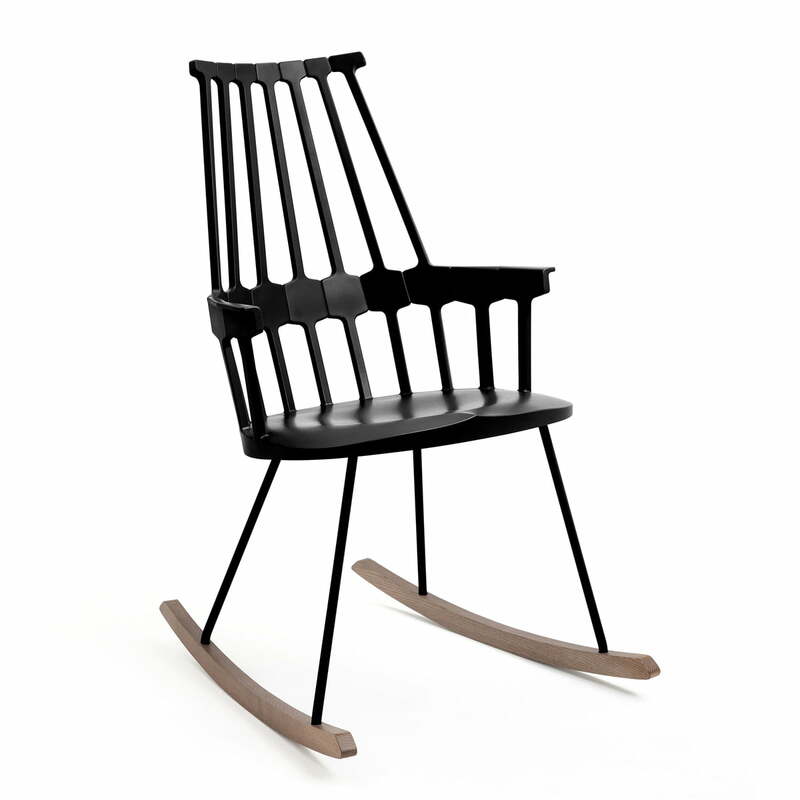 Kartell re-launches a big classic piece with the Comback rocker. This classic piece of furniture is the new look of the Windsor-Chair by the Italian manufacturer. 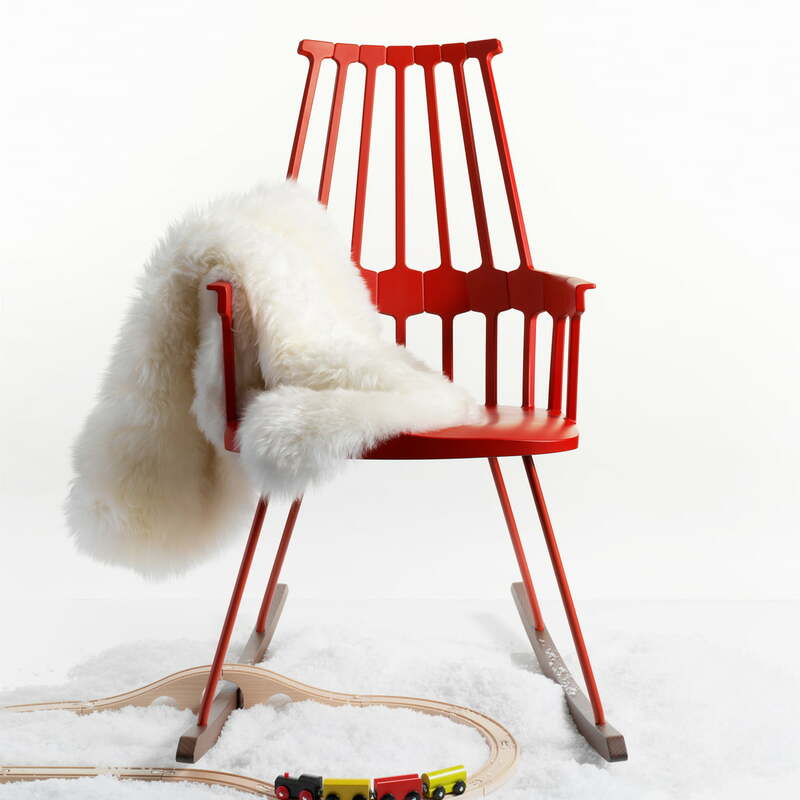 The Comback rocker is the return into the glorious past of England of the 18th century, reinterpreted by the Spanish designer Patricia Urquiola. The backrest of the rocker by Kartell is made of seven tubes and it widens at the lover back, copying modern lumbar supports. There are vertical struts among them, which also carry the armrests of the classic rocking chair. All in one, Comback is a lush, inviting chair, where the seat unifies functionality and ergonomics with a lot of emotionality and tradition. 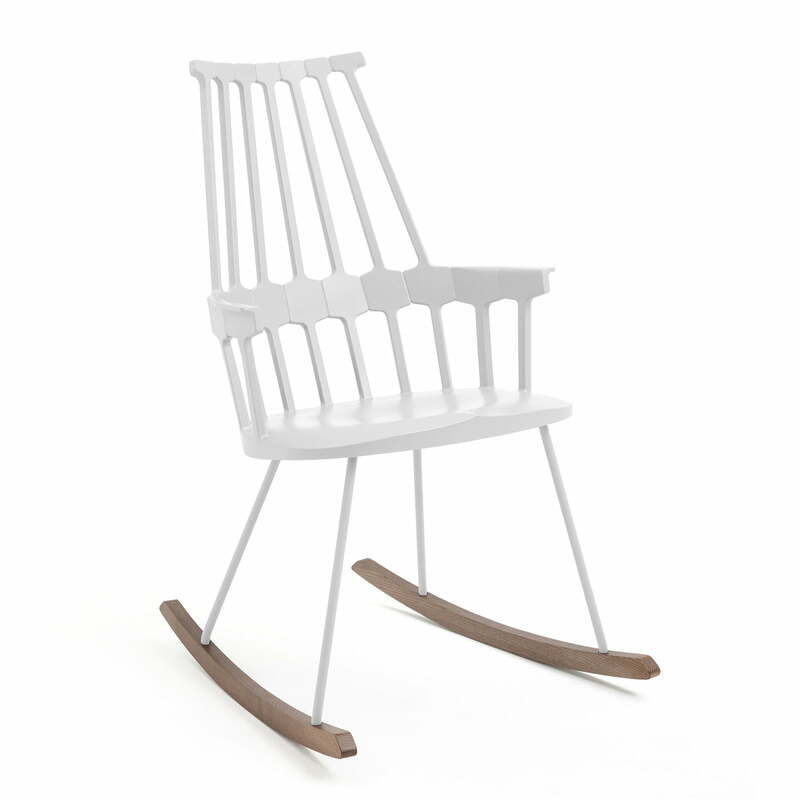 The used plastic material and the selection of shiny colours make this chair modern and weightless. Comback is also available in all the Kartell offered colours, as well as swivel chair, with a four-leg frae or with runners.